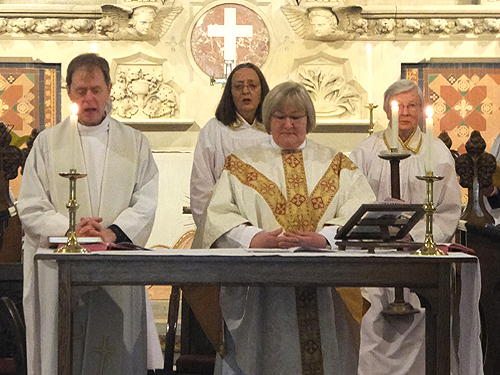 Trinity Sunday is the first Sunday after Pentecost. 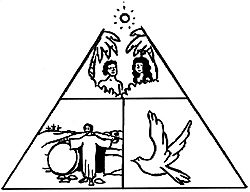 Trinity means a group of three, the Triune (three-in-one) God. Trinity Sunday is one of the few feasts of the Christian Year that celebrates a Christian doctrine rather than an event or person. It celebrates the Christian belief that the Trinity is the three persons of God - Father, Son, and Holy Spirit. The mystery of the interaction of the three parts of God is central to the Christian faith. That statement of faith is made in the Creed that we say every Sunday in Church. The symbols of the Trinity always have three parts with the idea being that the single God appears in different forms for different purposes. Think of it as a clover leaf which has three parts to it. All three work together. 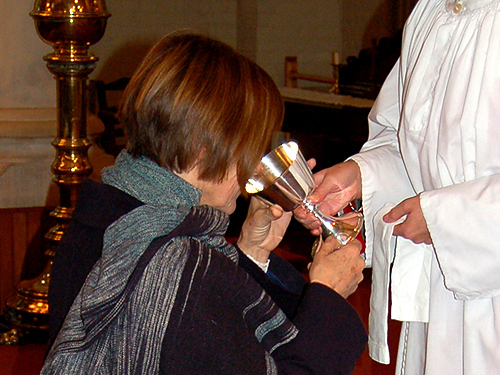 The church colour for Trinity is white (or gold) and is used for the light, joy and purity of Christ. What does the Trinity mean for us? • God the Father is greater than us and the creator of all things. • Jesus Christ, his only son, is alongside us, sharing our humanity and is the saviour of all people as he died on a cross for us, rose again and is always with us. • The Holy Spirit is within us, present always and blesses everyone and everything and makes them holy. It guides us and teaches us the right way to think, and to love and care for others. 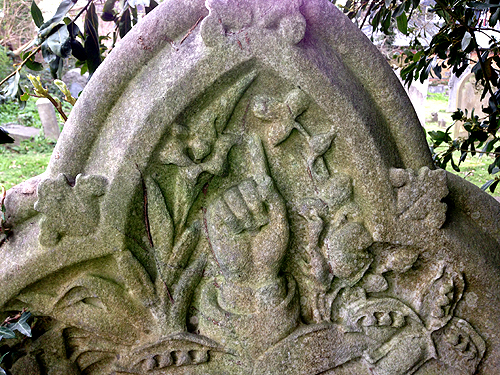 God the Father A hand coming from a cloud or a hand raised in blessing. God the Son, Jesus Christ IHS or IHC - the first three letters of the Greek for Jesus (IHCOYC). INRI - the initial letters of the Latin words for 'Jesus of Nazareth, King of the Jews' (IESUS NAZARENUS REX IUDAEORUM). This was the inscription which Pilate wrote and put on the cross (see John 19, v. 19). 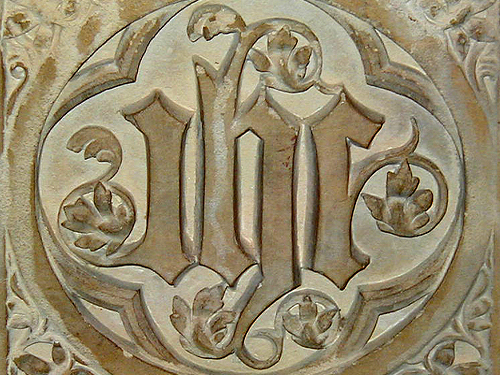 XP - the first two letters of the Greek word for Christ (XPICTOC). God the Holy Spirit A dove was seen at the baptism of Jesus. It is a symbol of the Holy Spirit. 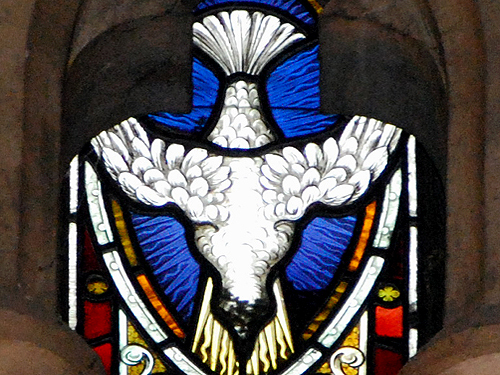 A dove with a halo, or a sevenfold flame, are symbols of the Holy Spirit's power (see Acts 2, v. 1-4).